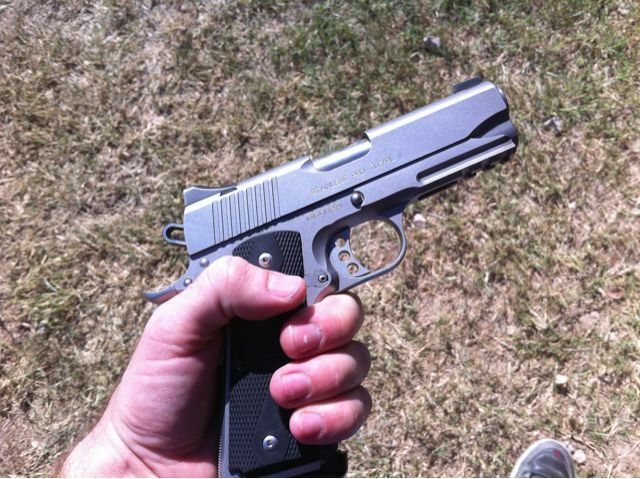 Doing a few trick shots in the air with my kimber 1911 45. Took me 8 damn shots in 15 mph wind, to only turn around and shoot another bottle in the air in 5 attempts with my buddy Jimmy’s kimber. If you don’t believe me check out this video from doing it with my Glock 9mm! Cayleigh and Daddy dancing like a fool!